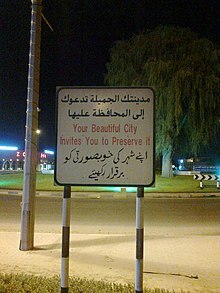 Ras Al Khaimah (RAK) (Arabic: رَأْس ٱلْخَيْمَة‎; IPA: [raʔs alˈxajma]), to an extent identified with the historical area of Julfar,[a] is one of the seven emirates that make up the United Arab Emirates (UAE). The capital city and home of most residents is also called "Ras Al Khaimah", sometimes abbreviated to "RAK City". Its name in English means "headland of the tent". The emirate borders Oman's exclave of Musandam, and occupies part of the same peninsula. It covers an area of 2,486 km2 (960 sq mi) and has 64 km (40 mi) of beach coastline. As of 2015, the emirate had a population of about 345,000, of which about 31% were Emirati citizens. RAK city has two main areas - the Old Town and Nakheel - on either side of a creek that is home to mangroves and is framed by the North-Western Hajar Mountains. The emirate also consists of several villages and new gated residential developments, such as Al-Hamra Village and Mina Al-Arab. The emirate is served by Ras Al Khaimah International Airport. 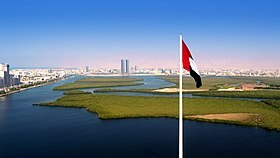 Its geography consists of a northern part (where Ras Al Khaimah City and most towns are situated) and a large southerly inland exclave (near the Dubai exclave of Hatta), and a few small islands in the Persian Gulf. Ras Al Khaimah has the most fertile soil in the country, due to a larger share of rainfall and underground water streams from the Hajar. Ras Al Khaimah has been the site of continuous human habitation for 7,000 years, one of the few places in the country[b] and the world where this is the case, and there are many historical and archaeological sites throughout the emirate - local sources cite 1,000 - dating from different time periods, including remnants of the Umm Al Nar Culture (3rd millennium BC). The area of Shimal contains both Umm Al Nar and Wadi Suq burials and a number of notable finds, including one grave that contained no fewer than 18 fine bronze arrowheads. Wadi Suq era graves found at Seih Al Harf in the Emirate in October 2012 briefly held up the construction of the northern spur of the arterial E611 road. Ras Al Khaimah is often considered to be the historical area of Julfar, and according to Sheikh Sultan bin Muhammad Al-Qasimi, current ruler of Sharjah Emirate, it was founded by Armenians who escaped Persia during the Mongol invasion. Archaeological evidence has however demonstrated that the settlement known as Julfar shifted location over time as harbour channels silted up. Excavations of a sizable tell, which revealed remnants of a Sassanid era fortification, indicate that early Julfar was located in the north of the present city of Ras Al Khaimah, not far from other sites of historical and archaeological interest such as 'Sheba's Palace'. Like Dibba and the region of Tawam (which includes the modern city of Al Ain), this region witnessed events relevant to the history of Islam during the Umayyad and Abbasid eras. One of Ras Al Khaimah's most well-known sons, Ibn Majid, was a seaman and navigator, who navigated Vasco da Gama from Malindi to Calicut in 1498. There is considerable debate locally regarding the 18th-century charge of maritime piracy, attracting the British label 'The Pirate Coast' to the Eastern Gulf. 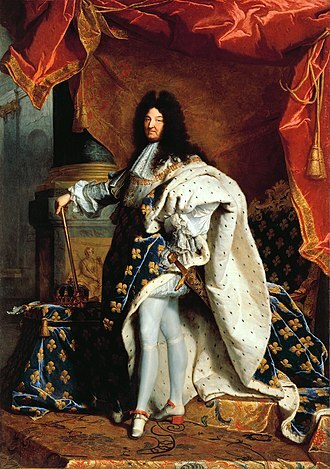 Local interpretations of the dispute with the British were that the British became increasingly aggressive in protecting their trade but this resulted in interference in locals' livelihoods, so they naturally took exception to it. 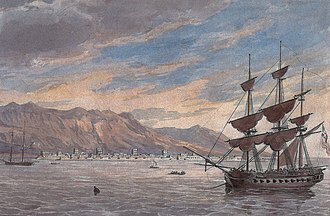 However, in the early 18th century, the Al Qasimi dynasty established itself in Ras Al Khaimah and Sharjah on the Arabian Peninsula, growing to become a significant maritime force with holdings on both the Persian and Arabian coasts that frequently came into conflict with British flagged shipping. It was the Al Qasimi links to Persia that drew them to the attention of Ahmed bin Said, the Ruler of Muscat, who had wrested control of the coast and interior of Oman back from the Persian forces who had taken it under Nadir Shah and Mirza Taki Khan, the governor of Shiraz. Ahmed bin Said threw 12,000 men under the command of Kandhala bin Saif Al Suwaidi in an attack on Ras Al Khaimah which was met at Buraimi by 14,000 men of the Al Qasimi and Na'im. They were defeated, leading the garrison at Khor Fakkan, besieged by Ahmed bin Said, to surrender. He went on to take Khasab and then blockaded Ras Al Khaimah, Rams, Jazirat Al Hamra, Fasht and Sharjah. This led to all but Ras Al Khaimah suing for peace in 1763. The Sheikhs of Ras Al Khaimah submitted in 1771, but in 1775 revolted and re-took the towns on the West and East coast, consolidating their gains under the weak rule of Sultan bin Ahmed bin Saeed. This longstanding war between the Al Qasimi and Muscat pitted them naturally against Muscat's ally – Britain. In the aftermath of a series of attacks in 1808 off the coast Sindh involving 50 Qasimi raiders and following the 1809 monsoon season, the British authorities in India decided to make a significant show of force against the Al Qasimi, in an effort not only to destroy their larger bases and as many ships as could be found, but also to counteract French encouragement of them from their embassies in Persia and Oman. The British mounted the Persian Gulf campaign of 1809, in which the Al Qasimi fleet was largely destroyed. The British operation continued to Linga on the Persian coast which was, like the Greater and Lesser Tunbs islands, administered by the Al Qasimi. By the morning of 14 November, the military expedition was over and the British forces returned to their ships, having suffered light casualties of five killed and 34 wounded. Arab losses are unknown, but were probably significant, while the damage done to the Al Qasimi fleets was severe: a significant portion of their vessels had been destroyed. With the 1809 campaign concluded without significant treaty concessions, an 1815 arrangement was made between the British and the Al Qasimi. By 1819, it was clear the arrangement had broken down and so in November of that year, the British embarked on a second expedition against the Al Qasimi, led by Major-General William Keir Grant, voyaging to Ras Al Khaimah with a platoon of 3,000 soldiers. The British extended an offer to Said bin Sultan of Muscat in which he would be made ruler of the Pirate Coast if he agreed to assist the British in their expedition. Obligingly, he sent a force of 600 men and two ships. The British landed a force at Rams on 18 December, which fought its way inland through date plantations to the hilltop fort of Dhayah on the 19th. 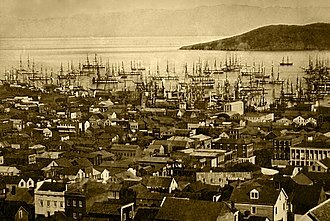 There, 398 men and another 400 women and children held out, without sanitation, water or effective cover from the sun, for three days under heavy fire from mortars and 12-pound cannon. The two 24-pound cannon from HMS Liverpool which had been used to bombard Ras Al Khaimah from the landward side were once again pressed into use and dragged across the plain from Rams, a journey of some four miles. Each of the guns weighed over 2 tonnes. 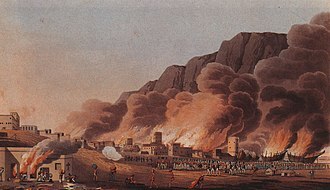 After enduring two hours of sustained fire from the big guns, which breached the fort's walls, the last of the Al Qasimi surrendered at 10.30 on the morning of 22 December. In January 1820, the British imposed the General Maritime Treaty of 1820 signed by Sheikh Sultan Bin Saqr Al Qasimi of Sharjah who was reinstated by the British in Ras Al Khaimah after the deposition of Hasan Bin Rahma Al Qasimi. The treaty stipulated the end of piracy and slavery, and laid the foundation for the British protectorate over the Trucial States that lasted until December 1971. In 1869, Ras Al Khaimah became fully independent from neighbouring Sharjah. However, from September 1900 to 7 July 1921, it was re-incorporated into Sharjah; the last governor became its next independent ruler. On 10 February 1972, Ras Al Khaimah, under the leadership of Sheikh Saqr bin Mohammad al-Qasimi, joined the United Arab Emirates. 1814–1820: Sheikh Hassan bin Rahma Al Qasimi. In 1820 removed as ruler of RAK by British, recognised as Sheikh of Khatt and Falna. Signed General Maritime Treaty of 1820. 1866 – 1868: Sheikh Khalid bin Sultan Al Qasimi (died 1868). Ruler of RAK. 1869 – August 1900: Sheikh Humaid bin Abdullah Al Qasimi (died 1900). Ruler of RAK. The appointed heir presumptive is currently Mohammed bin Saud Al Qasimi, son of the current Ruler of the Emirate. See also: Category:Populated places in Ras al-Khaimah. 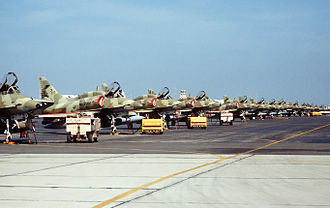 In 1975, the total population of Ras Al Khaimah was 43,845 of which 29,613 were nationals and 14,232 were foreigners. This figure increased to 73,918 (39,148 locals; 34,770 foreigners) in 1980, 96,578 in 1985, 143,334 in 1995, and 210,063 in 2005. The total population, as of 2015, was estimated to be about 345,000 people, both Emiratis and expatriates. Jebel Jais is the highest mountainous peak in the United Arab Emirates. Ras Al Khaimah's desert climate (Köppen climate classification BWh) is hot and arid with very hot summers and mild winters. The average temperature is 12 to 25 °C (54 to 77 °F) in January and 29 to 43 °C (84 to 109 °F) in July. However, temperatures often reach 45 °C in the summer; the highest recorded temperature is 48.8 °C (119.8 °F). The humidity is usually high in the summer months. 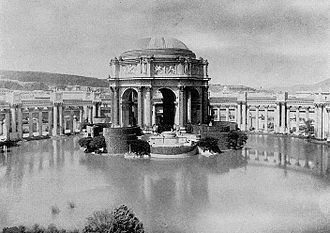 Rains and thunderstorms occur rarely, and only in winter. Snow has been reported in December 2004, January 2009 and February 2017 in the high mountains of Ras Al Khaimah. Temperatures as low as −5 °C (23 °F) have been measured at the peak of Jebel Jais, the highest mountain in the UAE. Real Estate – numerous residential areas, offices, commercial buildings have been built in Ras Al Khaimah and several major developments are ongoing. Major multi-purpose developments include Al Hamra Village and Mina Al Arab. Manufacturing and High-Tech Industry – In the 1980s, the emirate formed Gulf Pharmaceutical Industries (Julphar), the Persian Gulf region's first pharmaceuticals company. Julphar is now one of the region's largest pharmaceutical manufacturers, producing more than one million boxes of medicines each day. Ras Al Khaimah also became the first place in the Gulf to produce vehicles from a global manufacturer when Ashok Leyland started production in 2010. The Indian company now produces 12,400 vehicles a year from its base in the emirate. Falcon Technologies International (FTI) represents the high-tech industry and produces optical storage media (CDR, DVDR, BDR). In 2012, Innovative Composite Engineering was established in the Industrial Free-zone to manufacture high-end composite products (aerospace, construction parts). Agriculture and Fisheries – in the past, these were the main economic sectors of Ras Al Khaimah. Nowadays they are still significant, providing foodstuffs not only for the emirate but for the whole UAE. New legislation and regulations favour international investments. The combination of security and confidentiality is ensured to entrepreneurs. An international company may only have foreign customers and is not liable for paying local taxes. It can open a local bank account, make investments tax-free and obtain mortgages for investing in UAE assets. Employment visas are available. When approved, this type of company can own property in UAE free-trade zones. Participants of RAK Half Marathon 2011. The annual Ras Al Khaimah Half Marathon, first held in 2007, resulted in a world record from Samuel Wanjiru in 2007 and the second fastest run of all time from Patrick Makau Musyoki in 2009. The UAE Awafi Festival is an annual cultural and heritage festival held in the Ras Al Khaimah desert. It is a three-week event, held in December or January, one attraction being a sand dune race. There is a heritage village with traditional food and dance, as well as shops for food and souvenirs. The Terry Fox Run RAK is a yearly charity run organized in Ras Al Khaimah to support cancer research in the UAE. The first event was organized in 2010 (short movie from 1st RAKTFR event). Participation in this event has grown from hundreds to thousands since its inception. Each year, a number of events are lined up in Ras Al Khaimah to mark the United Arab Emirates' National Day, usually involving an air show by the Fursan Al Emarat aerobatics team and a free concert featuring some of the best singers in the Arab world. Within Ras Al Khaimah city, the main mode of public transport are metered taxis, with public buses operating on long-haul routes and catering mainly to smaller towns (e.g. Sha`am, Rams, and Al Jazirah Al Hamra). A local bus service operated by RAK Transport Authority provides infrequent connections between Nakheel, Al Hamra and the airport. Ras Al Khaimah is connected to the other emirates by taxis and buses which embark from the Bus station located at RAK Transport Authority Headquarters near the new Ras Al Khaimah Police Headquarters and opposite the Cove Rotana hotel. The main highways linking Ras Al Khaimah with other emirates is Mohammed bin Zayed Road (E311) and Emirates Road (E611), both of which travel from Ras Al Khaimah through Umm Al Quwain, Ajman and Sharjah and onto Dubai and Abu Dhabi. These highways allow for journeys from Ras Al Khaimah to Dubai in under 45 minutes. Dual carriageways connect major areas within the emirate, with one following the coast and another running inland towards the airport in the direction of Khatt, Masafi, Fujairah, Dhaid, and eventually Oman. In July 2018, the first phase of the Ras Al Khaimah Ring Road opened, connecting the industrial areas of the mountainous north with the E311 to the south. The road is expected to decrease the volume of industrial traffic through RAK City. In spring 2013 work on the 32-kilometre (20 mi) RAK Ring Road was held up by a three-month rescue excavation after the discovery of megalithic tombs dating to the Wadi Suq period, from 2000 to 1600 BC. Saqr Port, located in the industrial area of Khawr Khuwayr, is the emirate's main port, providing bulk and container services. It has eight deep-water berths, each 200 m (660 ft) long, is dredged to 12.2 m (40 ft) and has two "ro-ro" ramps plus specialised berths for handling bulk cement and aggregate. Other services include ship-handling, crew changes, and 40,000 m2 (430,000 sq ft) of covered storage, together with a vast open storage area. It is also the closest port in the UAE to Bandar Abbas, Iran, but there is no shipping from Saqr port to Bandar Abbas[clarification needed]. Ras Al Khaimah International Airport (RKT) offers cargo and passenger services to a variety of destinations covering the Middle East, North & East Africa, Central Asia, the Indian Subcontinent and Europe (to Luxembourg). It serves as a hub for low-cost carrier Air Arabia. On 17 February 2006, Space Adventures announced its plans to develop a $265 million commercial spaceport in Ras Al Khaimah for space tourism. This plan has yet to be realized. 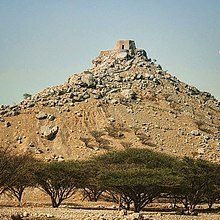 ^ Abed and Hellyer asserted that Julfar was in the vicinity of the city of Ra's Al-Khaimah, rather than the same place. ^ a b Leech, Nick (2015-10-22). "The long read: has a lost Arab capital been found on the Oman-UAE border?". The National. Retrieved 2019-01-20. ^ a b c d e Morton, Michael Quentin (15 April 2016). Keepers of the Golden Shore: A History of the United Arab Emirates (1st ed.). London: Reaktion Books. ISBN 978-1-7802-3580-6. Retrieved 8 November 2016. ^ a b c Abed, Ibrahim; Hellyer, Peter (2001). The United Arab Emirates, A New Perspective. London: Trident Press Ltd. pp. 74–90. ISBN 978-1-900724-47-0. ^ "Ras Al Khaimah". Lonely Planet. ^ a b Hawley, Donald (1970). The Trucial States. London: Allen & Unwin. p. 88. ISBN 0049530054. OCLC 152680. ^ a b Lancaster, Fidelity; Lancaster, William (2011). Honour is in Contentment: Life Before Oil in Ras Al-Khaimah (UAE) and Some Neighbouring Regions. Berlin, New York: Walter de Gruyter. pp. 3–598. ISBN 3-1102-2339-2. ^ "Facts about Ras Al Khaimah". RAK Government. ^ "Agriculture - United Arab Emirates - export, crops, farming". www.nationsencyclopedia.com. Retrieved 17 June 2018. ^ "RAK Tourism Development Authority". ^ "RAK drives home its heritage credentials". The National. 29 October 2014. Retrieved 30 March 2015. 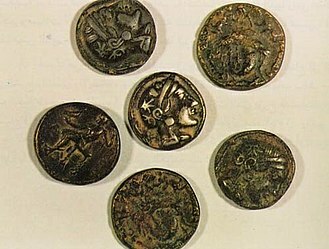 ^ "New archaeological site found in Ras Al Khaimah". GulfNews.com. 2013-02-11. Retrieved 2013-09-15. ^ "Ancient graves unearthed in RAK". GulfNews.com. 2013-04-05. Retrieved 2013-09-15. ^ Arabian Gulf Intelligence. Cambridge: Oleander Press. 1985. pp. 6–8. ISBN 9781909349964. ^ Lorimer, John (1915). Gazetteer of the Persian Gulf. British Government, Bombay. p. 668. ^ The Gulf States: A Modern History - David Commins - ßĘČ Google. Books.google.com.bh. 2012-03-15. Retrieved 2013-09-15. ^ Lorimer, John (1915). Gazetteer of the Persian Gulf. British Government, Bombay. p. 755. ^ Lorimer, John (1915). Gazetteer of the Persian Gulf. British Government, Bombay. p. 641. ^ "Historic witness to RAK's defence". GulfNews.com. 2008-11-20. Retrieved 2013-09-15. ^ "Watch: Snowfall in UAE, temperature hits -2.2 degree". Khaleej Times. Retrieved 2017-02-05. ^ "Heavy snowfall on Ras Al Khaimah's Jebel Jais mountain cluster". gulfnews.com. Retrieved 2015-08-16. ^ "Ras Al Khaimah Climate Normals". National Oceanic and Atmospheric Administration. Retrieved December 19, 2012. ^ "Introduction to RAK - Economic Overview". Investment and Development Office. ^ "Construction Commences on Ras Al Khaimah's Latest Adventure Products at the Toroverde Adventure Park". RAK TDA. ^ "New RAK resort revealed". Arabian Business. ^ "Ras Al Khaimah sets new target of 3m tourists annually by 2025". Arabian Business. ^ "AHIC returns to Ras Al Khaimah for the 15th edition in 2019". Hotelier Middle East. ^ "About Stevin Rock". LinkedIn. ^ "What We Do". Julphar (Gulf Pharmaceutical Industries). ^ "Ashok Leyland lifts capacity at RAK bus plant". Gulf News. ^ "About Us". Composites.ae. Retrieved 2013-09-15. ^ "RAKBank net profits surge 13.2 per cent to Dh917.5 million". Gulf News. ^ Fairlie, Greg (2010-02-10). Fast times in store as a field of 10 sub-60 men announced for Ras al-Khaimah Half Marathon. IAAF. Retrieved on 2010-02-11. ^ "Facebook". Facebook. Retrieved 2013-09-15. ^ "Mission and Vision". 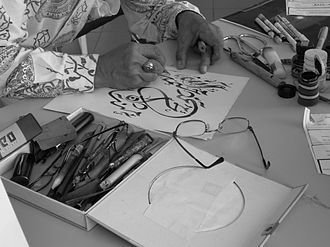 RAK Fine Arts Festival. ^ "National Day celebrations". Visit Ras Al Khaimah. ^ "RAKTDA and Challenge Tour chiefs hail inaugural Ras Al Khaimah Challenge Tour Grand Final". European Tour. ^ "Transport : Taxi/Bus". Government of Ras Al Khaimah. ^ "Ras Al Khaimah opens phase 1 of $111m ring road project". Arabian Business. ^ "Archaeologists make last ditch attempt to rescue remains of pre-historic tombs in RAK | The National". Thenational.ae. 2013-04-13. Retrieved 2013-09-15. ^ "News : Press Releases :". Space Adventures. Archived from the original on 2013-11-12. Retrieved 2013-09-15. The British acquiescence in the Persian claim to Serri demeaned the very theory on which the protest had been based. It had already determined by the British that the Persian actions on Sirri. In the pursuit of British imperial considerations, the lack of regard for Persian sensibilities was no problem, on June 14,1904, the Persian government removed its presence from Abu Musa and Greater Tonb subject to the reservations, as reported by the British minister. During the 20th century, several attempts at negotiations were made, a day later, on 30 November 1971, Iran forcibly seized control of the Tunb Islands and Abu Musa, against the resistance of the tiny Arab police force stationed there. The Iranians were instructed not to fire, and the first shots came from the Arab resistance which killed four Iranian marines. 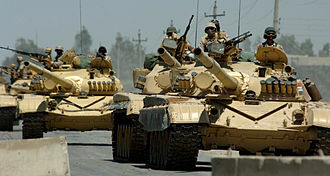 According to some sources, the Arab civilian population of Greater Tunb was deported, in the following decades, the issue remained a source of friction between the Arab states and Iran. Sultan bin Muhammad Al-Qasimi, commonly known as Sheikh Sultan III, is the sovereign ruler of the Emirate of Sharjah and a member of the Federal Supreme Council of the United Arab Emirates. He has ruled Sharjah continuously since January 1972, apart from a period in June 1987. He is an historian and has published several theatrical. He completed a PhD with distinction in History at Exeter University in 1985, the Emir is an Indophile, has made numerous visits to India in his private capacity, and even speaks Malayalam language, albeit haltingly. His abiding interest and affinity for India has been attributed to the fact that as a child, he was raised by a Malayali nanny from Kerala, Sheikh Sultan succeeded his brother Sheikh Khalid bin Mohammed Al Qasimi as Emir after his assassination on 25 January 1972. He was previously Minister of Education for the Emirates, in addition to those offices, he holds several educational posts. He became president of both the American University of Sharjah and University of Sharjah in 1997, and was named Visiting Professor at Exeter University, his alma mater and he became a Professor of Modern History of the Gulf at the University of Sharjah in 1999. Phoenix dactylifera, commonly known as date or date palm, is a flowering plant species in the palm family, cultivated for its edible sweet fruit. Although its place of origin is unknown because of long cultivation, the species is widely cultivated and is naturalized in many tropical and subtropical regions worldwide. Date trees typically reach about 21–23 metres in height, growing singly or forming a clump with stems from a single root system. The leaves are 4–6 metres long, with spines on the petiole, the leaflets are 30 cm long and 2 cm wide. The full span of the ranges from 6–10 m. The species name dactylifera date-bearing comes from the Greek words daktylos, which date, and fero. Dates have been a food of the Middle East and the Indus Valley for thousands of years. There is archaeological evidence of cultivation in eastern Arabia between 5530 and 5320 calBC. They are believed to have originated around what is now Iraq, the Ancient Egyptians used the fruits to make date wine, and ate them at harvest. There is evidence of date cultivation in Mehrgarh around 7000 BCE. 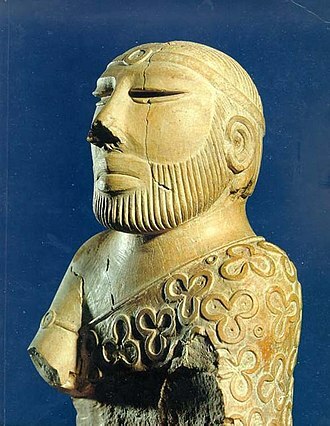 Evidence of cultivation is found throughout civilizations in the Indus Valley. 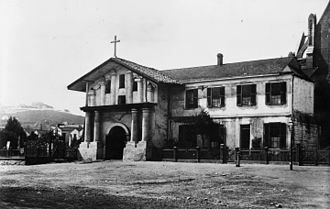 In times, traders spread dates around South West Asia, northern Africa, dates were introduced into Mexico and California by the Spaniards in 1765, around Mission San Ignacio. A date palm cultivar, known as Judean date palm is renowned for its long-lived orthodox seed and this particular seed is presently reputed to be the oldest viable seed, but the upper survival time limit of properly stored seeds remains unknown. Fossil records show that the palm has existed for at least 50 million years. The fruit is known as a date, the fruits English name, as well as the Latin species name dactylifera, both come from the Greek word for finger, dáktulos, because of the fruits elongated shape. Dates are oval-cylindrical, 3–7 cm long, and 2–3 cm diameter, dates contain a single stone about 2–2.5 cm long and 6–8 mm thick. Three main cultivar groups of date exist, semi-dry, the type of fruit depends on the glucose and sucrose content. Vasco da Gama, 1st Count of Vidigueira, was a Portuguese explorer and the first European to reach India by sea. 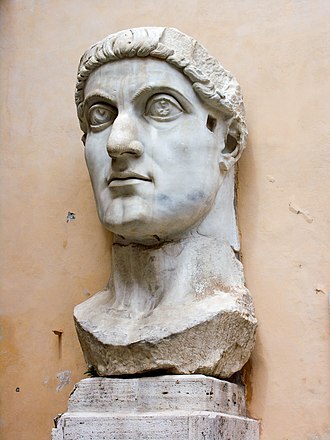 His initial voyage to India was the first to link Europe and Asia by a route, connecting the Atlantic and the Indian oceans and, in this way, the West. Da Gamas discovery of the sea route to India was significant and opened the way for an age of global imperialism, traveling the ocean route allowed the Portuguese to avoid sailing across the highly disputed Mediterranean and traversing the dangerous Arabian Peninsula. After decades of trying to reach the Indies, with thousands of lives and dozens of vessels lost in shipwrecks and attacks. Unopposed access to the Indian spice routes boosted the economy of the Portuguese Empire, the spices obtained from Southeast Asia were primarily pepper and cinnamon at first, but soon included other products, all new to Europe. Portugal maintained a monopoly of these commodities for several decades. Da Gama led two of the Portuguese armadas destined for India, the first and the fourth, the latter was the largest and departed for India four years after his return from the first one. 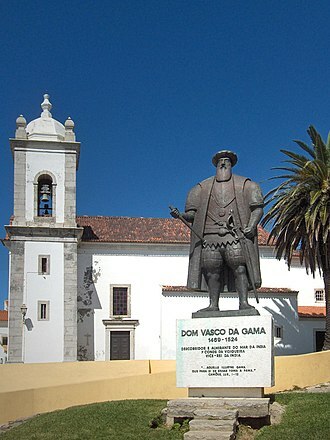 For his contributions, Da Gama was appointed the Governor of India in 1524, under the title of Viceroy, Vasco da Gama remains a leading figure in the history of exploration. Numerous homages have been made worldwide to celebrate his explorations and accomplishments, the Portuguese national epic, Os Lusíadas, was written in his honour. His first trip to India is widely considered a milestone in world history, in March 2016, researchers announced that thousands of artifacts and vessel remains had been recovered from the ship Esmeralda, one of Da Gamas armada, found off the coast of Oman. Vasco da Gama was born in 1460 or 1469 in Sines, on the southwest coast of Portugal, one of the few seaports on the Alentejo coast, consisted of little more than a cluster of whitewashed, red-tiled cottages, occupied chiefly by fisherfolk. Vasco da Gamas father was Estêvão da Gama, who had served in the 1460s as a knight of the household of Infante Ferdinand and he rose in the ranks of the military Order of Santiago. The history of Islam concerns the political, economic and cultural developments of the Islamic civilization. Despite concerns about reliability of sources, most historians believe that Islam originated in Mecca. 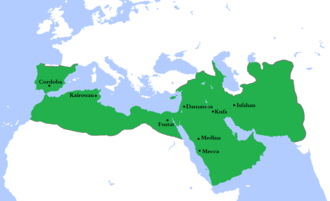 A century later, the Islamic empire extended from Iberia in the west to the Indus river in the east, polities such as those ruled by the Umayyads, Abbasids and Mamluks were among the most influential powers in the world. 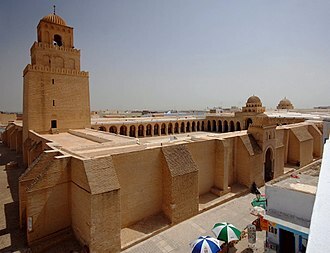 The Islamic civilization gave rise to many centers of culture and science and produced notable astronomers, during the 19th and early 20th centuries most parts of the Muslim world fell under influence or direct control of European Great Powers. Their efforts to win independence and build modern nation states over the course of the last two centuries continue to reverberate to the present day, the following timeline can serve as a rough visual guide to the most important polities in the Islamic world prior to the First World War. 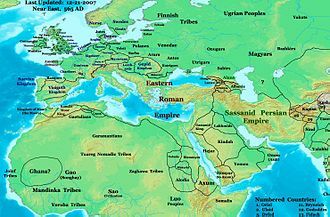 It covers major historical centers of power and culture, including Arabia, Persia, Egypt, Maghreb, al-Andalus, Hindustan, dates are approximate, consult particular articles for details. The study of the earliest periods in Islamic history is difficult by a lack of sources. For example, the most important historiographical source for the origins of Islam is the work of al-Tabari, while al-Tabari was an excellent historian by the standards of his time and place, use of his work as a source is problematic for two reasons. 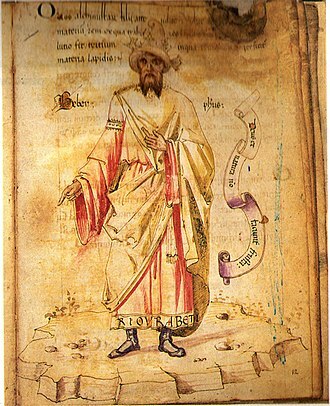 For one, his style of historical writing permitted liberal use of mythical, stereotyped, Second, al-Tabaris descriptions of the beginning of Islam post-date the events by a large amount of time, al-Tabari having died in 923 CE. Differing views about how to deal with the sources has led to the development of four different approaches to the history of early Islam. All four methods have some level of support today, the descriptive method uses the outlines of Islamic traditions, while being adjusted for the stories of miracles and faith-centred claims within those sources. Edward Gibbon and Gustav Weil represent some of the first historians following the descriptive method, on the source critical method, a comparison of all the sources is sought in order to identify which informants to the sources are weak and thereby distinguish spurious material. Oman, officially the Sultanate of Oman, is an Arab country on the southeastern coast of the Arabian Peninsula. The coast is formed by the Arabian Sea on the southeast, the Madha and Musandam exclaves are surrounded by the UAE on their land borders, with the Strait of Hormuz and Gulf of Oman forming Musandams coastal boundaries. From the late 17th century, the Omani Sultanate was an empire, vying with Portugal and Britain for influence in the Persian Gulf. At its peak in the 19th century, Omani influence or control extended across the Strait of Hormuz to modern-day Iran and Pakistan, as its power declined in the 20th century, the sultanate came under the influence of the United Kingdom. Historically, Muscat was the trading port of the Persian Gulf region. Muscat was among the most important trading ports of the Indian Ocean, the Sultan Qaboos bin Said al Said has been the hereditary leader of the country since 1970. Sultan Qaboos is the current ruler in the Middle East. Oman has modest oil reserves, ranking 25th globally, nevertheless, in 2010 the UNDP ranked Oman as the most improved nation in the world in terms of development during the preceding 40 years. A significant portion of its economy is tourism and trade of fish and this sets it apart from its neighbors solely oil-dependent economies. Oman is categorized as an economy and ranks as the 74th most peaceful country in the world according to the Global Peace Index. Two optically stimulated luminescence age estimates place the Arabian Nubian Complex at 106,000 years old and this supports the proposition that early human populations moved from Africa into Arabia during the Late Pleistocene. Dereaze, located in the city of Ibri, is the oldest known settlement in the area. Archaeological remains have been discovered here from the Stone Age and the Bronze Age, findings have included stone implements, animal bones and fire hearths, with the latter dating back to 7615 BC as the oldest signs of human settlement in the area. Other discoveries include hand-molded pottery bearing distinguishing pre-Bronze Age marks, heavy flint implements, pointed tools, sumerian tablets refer to a country called Magan or Makan, a name believed to refer to Omans ancient copper mines. Mazoon, another used for the region, is derived from the word muzn. The present-day name of the country, Oman, is believed to originate from the Arab tribes who migrated to its territory from the Uman region of Yemen.